The family trees on my genealogy websites have several emigrants to North America. Most of them went to the U.S., boarding their ship at the Wilhelminakade in Rotterdam, and entering the States a fortnight later via Ellis Island. Let me introduce you to some of these emigrants. They are descendants of Lourens van Kampen and Neel de Vos, or of Paulus Pardoen and Johanna Pietersen. If you recognize any of these people, maybe you can share your memories of them in a comment below. Additions, corrections, photos, etc. are always welcome. Jacob van Kampen, son of Cornelis van Kampen and Gerritje de Rooij, was born on 13 March 1881 in Hilversum. He married Johanna Maria Volkersz, daughter of Eduard Karel Volkersz and Susanna Sibeijn, on 11 May 1905 in Sloten. Johanna Maria was born on 19 August 1883 in Amsterdam. After their marriage they lived in Laren, where Jacob was a house painter. Jacob sailed on the S.S. Rijndam, leaving Rotterdam on 23 March 1907, and arriving at Ellis Island 2 April 1907, on his way to Castleton, NY. Johanna Maria followed a fortnight later, with their son Cornelis Gijsbertus, sailing from Rotterdam on 6 April 1907 on the S.S. Nieuw Amsterdam. Jacob was the first of this branch of the van Kampen family to move to the U.S. He was followed by his sisters Mijntje (June 1907), Maria (August 1907), and Teuntje (April 1910), and his cousins Vollekert (March 1910) and Teuntje (October 1910). They settled in Albany and Castleton, NY. Jan Jansen, son of Jan Cornelis Jansen and Neeltje Groenhuijzen, was born on 6 August 1881 in Hilversum. He married Catharina Susanna van Kampen, daughter of Lourens van Kampen and Gerritje Dolman, on 17 May 1905 in Hilversum. Catharina Susanna was born on 2 July 1883 in Hilversum. Jan worked in Hilversum as a house painter. He left in 1907, sailing from Rotterdam on 23 February on the S.S. Potsdam, arriving at Ellis Island on 6 March. He travelled together with his younger brother Samuel and several friends and relatives from Hilversum. Their destination was Jan’s brother Lambertus Cornelis Jansen, in Kalamazoo, Michigan. Catharina Susanna followed a few months later, on the S.S. Statendam, leaving Rotterdam on 18 May 1907, with their 11-month-old daughter Neeltje. Jan and Catharina Susanna changed their surname in Johnson. Catharina Susanna visited her parents from 4 November until 18 December 1909 with Neeltje and her American son Lawrence. Jan and Catharina Susanna had three more children: Gertrude, Johanna Everdina, and Garrett John. Jan Jansen, or John Johnson as he was known in Kalamazoo, died aged 58 in Kalamazoo on 24 April 1940. Catharina Susanna died on 13 November 1960, aged 77, also in Kalamazoo. Jan van Bruggen, son of Hendrikus van Bruggen and Christina Bos, was born on 12 October 1862 in Barneveld. He married Mijntje van Kampen, daughter of Cornelis van Kampen and Gerritje de Rooij, on 18 July 1885 in Hilversum. Mijntje was born on 6 December 1863 in Hilversum. The marriage act states that Jan’s parents were deceased. His guardians were Mijntje’s uncles Carel and Barend van Kampen. Jan and Mijntje lived in Hilversum, where Jan was house painter. They left together, sailing on 15 June 1907 on the S.S. Nieuw Amsterdam, arriving at Ellis Island on 24 June, on their way to Mijntje’s brother Jacob in Castleton NY. Jan and Mijntje visited Holland in 1911, and Mijntje was in Holland in the fall of 1914, after her father’s death. Gerrit van Nederijnen, son of Gijsbertus van Nederijnen and Geertruida Petronella Jansen, was born on 10 July 1860 in Harderwijk. He married Maria van Kampen, daughter of Cornelis van Kampen and Gerritje de Rooij, on 4 May 1889 in Hilversum. Maria was born on 22 February 1862 in Hilversum. They lived in Hilversum, where Gerrit was a grocer. Gerrit, Maria and their six children aged 6-15 left on 27 July 1907 on the S.S. Nieuw Amsterdam, arriving at Ellis Island on 5 August, on their way to Maria’s brother Jacob van Kampen in Castleton, NY. In the U.S., their surname was (and is) usually spelled Van Nederynen. Vollekert van Kampen, son of Gerrit van Kampen and Jannetje de Rooij, was born on 26 September 1864 in Hilversum. He was sometimes called Volkert van Kampen, though his official name was Vollekert. He married Reintje Wentsel, daughter of Hendrikus Wentsel and Nennetje Dekker, on 4 April 1906 in Hilversum. Reintje was born on 23 August 1870 in Nunspeet, municipity Ermelo. Both spouses had been married before, and both had children from an earlier marriage. They lived in Hilversum, where Vollekert worked as peat-vendor. In the 1880s and early 1890s he had been a mason, and this occupation was also listed on his immigrationpapers. Vollekert left with their son Gerrit (20) on the S.S. Nieuw Amsterdam on 19 March 1910, arriving at Ellis Island on 28 March 1910, in the company of Vollekert’s brother-in-law, Louwrens Boel, on their way to Vollekert’s sister (and Louwrens’ wife), Teuntje. The eldest daughters, Maria, Jannetje, and Sina Petronella, left in July on the S.S. Rotterdam, and Reintje and the younger children followed in October, sailing on the S.S. Nieuw Amsterdam on 22 October and arriving at Ellis Island on 31 October 1910. Gerardus Fredericus Schouten, son of Hubertus Schouten and Johanna Vos, was born on 11 July 1864 in Sloten. He married Teuntje van Kampen, daughter of Cornelis van Kampen and Gerritje de Rooij, on 8 November 1890 in Hilversum. Teuntje was born on 8 November 1866 in Hilversum. They lived in Amsterdam until 1910. They set sail on 9 April 1910, on the S.S. Rijndam, arriving at Ellis Island on 19 April, on their way to Teuntje’s sister and brother in law, Mijntje van Kampen and Jan van Bruggen, in Castleton, NY. Louwrens Boel, son of Jan Boel and Elisabeth van Kampen, was born on 6 June 1865 in Hilversum. He married Teuntje van Kampen, daughter of Gerrit van Kampen and Jannetje de Rooij, on 25 August 1888 in Hilversum. Teuntje was born on 11 September 1869 in Hilversum. Louwrens worked in Hilversum as a plumber. He left in 1907, sailing from Rotterdam on 27 July on S.S. Nieuw Amsterdam and arriving at Ellis Island on 2 August, on his way to Castleton NY. He was going to visit J. van Kampen, presumably his wife’s cousin Jacob van Kampen, who left a few months earlier. He was soon joined by his 18-year-old daughter Elisabeth, who left Rotterdam on the S.S. Statendam on 21 December 1907, arriving at Ellis Island 2 January 1908. Louwrens returned to Holland, probably in 1908. Two years later, he left for good. He set sail on 19 March 1910, again on the S.S. Nieuw Amsterdam, arriving on Ellis Island on 28 March, where he was reunited with his daughter. He travelled in the company of his brother in law Vollekert van Kampen and nephew Gerrit van Kampen. His wife followed on 1 October 1910, on the S.S. Rotterdam, with their children Jan (14), Gerrit (9), Simon (8), Volkert (7), Laurens (3), and Marius (1), arriving at Ellis Island on 10 October. Sophia Pardoen, daughter of Stephanus Pardoen and Antonia Hendrika Jacoba Keller, was born on 1 May 1883 in Harderwijk. She left, sailing from Rotterdam on the S.S. Rijndam, on 8 April 1911, arriving at Ellis Island on 18 April, on her way to her fiancée Willem Cornelis Nel, son of Willem Nel and Josephina Hubertina Arets, in Hoboken. Willem Cornelis and Sophia married in the U.S., and they settled in Springfield, Mass. They had at least one child, Virginia W. Nel, born about 1915 in Springfield. Clement Marie van Velsen, son of Gerardus Johannes van Velsen and Maria Bellemère, was born on 27 October 1871 in Rotterdam. He married Maria Margaretha Pardoen, daughter of Hubertus Pardoen and Maria Adriana van Schoor, on 22 May 1901 in The Hague. Maria Margaretha was born on 24 January 1881 in The Hague. Clement Marie died on 9 September 1947, Maria Margaretha on 1 June 1971, both in Grand Rapids. Jan Reef, son of Albert Reef and Hendrina van Wezel, was born on 28 June 1896 in Hengelo. He married Nellij Pardoen, daughter of Stephanus Pardoen and Johanna Buursink, on 14 April 1921 in Hengelo. Nellij was born on 9 August 1894 in Hengelo. Jan and Nellij left shortly after their marriage. 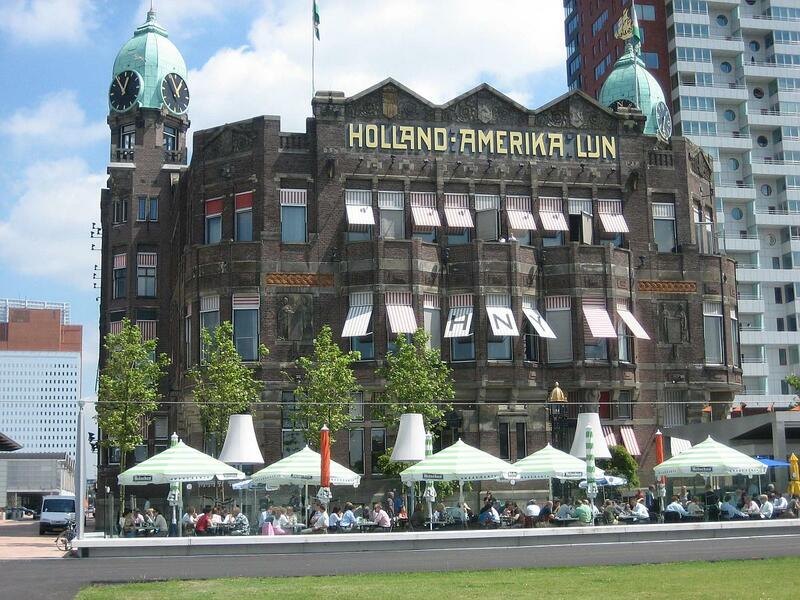 They sailed on the S.S. Nieuw Amsterdam, leaving Rotterdam on 27 July 1921 and arriving at Ellis Island on 6 August. They went to join Nellij’s half-sister and brother in law, Sophia Pardoen and Willem Cornelis Nel, in Springfield, Mass. I recently did my DNA and I was overwhelmed with the results. I am from South Carolina, USA and thinking Native American Indian….not a trace……but I did come back with 45% Scandinavian. I was shocked to no end, but it does explain a lot of why I am like I am. I am just not sure how or where to start with the research. I really would like to follow the line back to your country. I do have a line with surname Fagg (Fagge), which goes back to that part of the world. Also I have a line of Howard’s which I read on the internet that comes from Norway or somewhere, which I would have to find it again. I am so hoping I can find this, as it is such an honor to know that I am 45% Scandinavian. Here is a copy of my DNA results, so you can see what I am up against. Thanks for any help given. My DNA test results showed I am 45% Scandinavian (Sweden, Norway, Denmark), 24% Europe West (Belgium, France, Germany, Netherlands, Switzerland, Luxembourg, Liechtenstein) and then 10% Great Britain ( England, Scotland, Wales) and 10% Ireland (Ireland, Wales, Scotland). Most of those overlap some of the others. Jacoba Johanna Van Der Tollen ( my 4th great grandmother) was born on May 5, 1777, in Vlissingen, Zeeland, Netherlands. She married John Fagg on April 10, 1800, in her hometown. They had two children during their marriage. She died on February 8, 1833, in Vlissingen, Zeeland, Netherlands, at the age of 55. Joanna Kerrich (11 great grandmother – maternal side) was born in 1604 in Leiden, Zuid-Holland, Netherlands. She married John Jessup in 1624 in her hometown. They had one child during their marriage. She died in 1648 in Stamford, Connecticut, at the age of 44. This is where I first saw the Netherlands. When Johannes Gerardus FAGG ( my paternal 3rd great grandfather) was born on January 24, 1804, in Zierikzee, Zeeland, Netherlands, his father, John, was 28 and his mother, Jacoba, was 26. He married Sarah Jacoba SMITH on December 16, 1830, in Vlissingen, Zeeland, Netherlands. They had six children during their marriage. He died on July 26, 1839, in Vlissingen, Zeeland, Netherlands, at the age of 35.